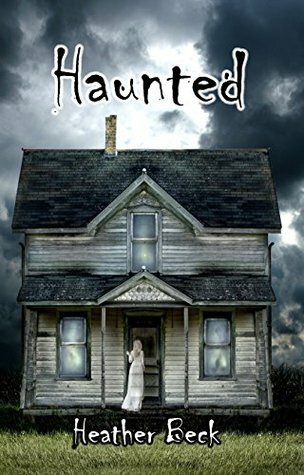 To start off the review for Haunted, honestly I thought the entirety of the book was well-written, intelligible enough for any readers to read at anytime of the year whether getting ready for Halloween or just simply taking a break from contemporary books (including other genres). Haunted has five short stories to appreciate which all may or may not come to your liking. I personally enjoyed reading the first short story just because I thought it pretty much got me at the edge of my seat. Moreover, the second story - A Haunting Past was the one that made me laugh which was unexpected, really because clearly this is a horror genre. Furthermore, I don't normally read horror. This might be the first. I feel proud for overcoming it. Manor on the Rocks was also one I enjoyed because of the bravery of the girl to finish off the boy who caused her discomfort towards her family and the home that would have been in a peaceful state. After that, I had a hard time focusing so much since it got me tedious and my attention has been wandering off if I don't truly enjoy them. However, I took note of how the author was much into the history background of the current situation and all the whys and hows had happened for them to encounter such paranormal events and I liked that idea. For the most part that I have noticed was the character development. Especially I would have to mention that a teenager in one of the short story lacks maturity. That has not truly mold characters which I can say that it has failed on that aspect. All things considered, Haunted certainly has the potential to attract more readers towards horror genre. I also would highlight very much how history background of paranormal events happening has made it more engaging, informative but then again putting aside the shortcomings - maybe for other readers it will be your next horror read to be added on your TBR shelf!